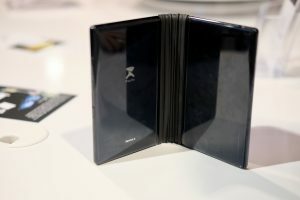 Announced in late 2018, the Royole FlexPai is the first foldable and flexible Android phone on the market. 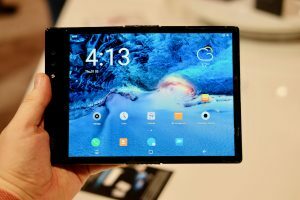 It’s being shown off here at CES 2019 and is attracting plenty of attention. That’s hardly surprising, considering how interesting the whole proposition is: an Android device that’s a phone in your pocket and a tablet when you fold it out. We’ve been calling for phone manufacturers to take a risk and do something different, and this certainly ticks that box. However one gimmick doesn’t make a phone great, and sadly the Royole FlexPai completely sacrifices usability in order to have a bendy screen. You can buy the Royole FlexPai in China right now and it’ll set you back 8999 yuan. At the time of publication, this converts to approximately $1319 and £1030. Royole FlexPai is essentially two phones attached together, with an ugly rubbery hinge in the middle. When unfurled it packs a 7.8-inch screen, which folds down in half to give you two 4-inch screens. In its ‘tablet’ mode it’s actually quite a good-looking device, with a slim bezel and a manageable footprint. Fold it into phone mode though and things get weird. Due to the nature of the hinge it doesn’t fold flat, instead taking on a wedge shape. The sides taper down a point and there’s a gap in the middle. Trying to fit it into your pocket is hilariously difficult and even using it as a phone is tough. One thing that does seem to have been thought through properly is durability. A Royole rep told me the FlexPai should survive 200,000 folds, which should cover it for a good number of years. If you manage to use this device for that length of time, then very well done. Oddly, there are two SIM slots and you can, in theory, use each screen as a completely separate phone. The software is even supposed to detect which screen you’re looking at at any one time, and treat that as the primary phone. You can charge the 3970mAh battery via a USB-C port and there’s a fingerprint scanner here too. A headphone jack is there is not. On the back you’ll find two cameras: a 16-megapixel sensor and a 20-megapixel sensor. Though the whole foldable idea is clever, the actual display is poor. It’s an AMOLED panel with a 1920 x 1440 resolution which is fine for the tablet. But it’s half the size when you use the FlexPai as a phone. The screen also suffers from poor colour calibration and, especially around the fold, is susceptible to a serious amount of glare. Worse than the display, however, is the software and performance. Even though the unit I was given to test was powered by the new Snapdragon 855 and 6GB of RAM (an 8GB option is available too) it lagged and stuttered during just about everything I did. Even basic tasks like popping up the multitasking view or opening an app took several seconds. Royole also doesn’t seem to have spent much time finessing its Water OS-skinned version of Android 9 Pie. During my demo, the orientation of apps kept switching between portrait and landscape and it constantly struggled to keep up with me folding and unfolding it. These are basic issues that really shouldn’t have made their way into a device you can actually buy. 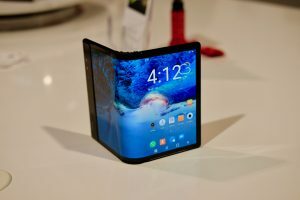 It’s clear the FlexPai has been rushed out to ensure it claims the crown of the world’s first foldable phone. It’s a shame then, that it’ll likely be remembered for its terrible user experience rather than its genuinely interesting foldable design. 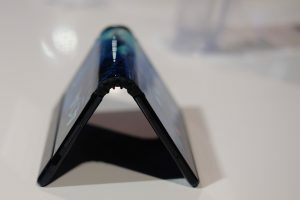 The post Royole FlexPai first look: Foldable flop? appeared first on Trusted Reviews.